Not all energy options are equally good, says Thomas Drolet, principal of Drolet & Associates Energy Services Inc. Using an "Energy Return on Energy Invested (EROEI)" calculation to decide which energy sources yield the most for the least energy investment, Drolet sees hydroelectricity, natural gas, uranium and coal at the top of the list. Drolet adds that the need for reliable power will keep baseload power fueled by uranium and coal at the center of the world's electricity systems for many years, but he tips The Mining Report to some technologies looking for investment that can help make coal a more environment-friendly fuel. The Mining Report: Tom, thanks for joining us today. I'd like to start out with the concept of an "Energy Return on Energy Invested cliff," which is being debated widely these days." What is it and what does it mean for the future of mining energy resources? Thomas Drolet: When you invest money in a new energy system, say, hydroelectric, you may spend $2 billion building a hydroelectric dam, but the device works for hundreds of years. 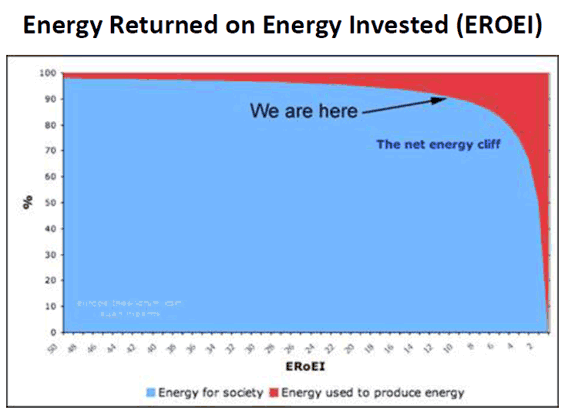 Energy planners and thinkers have created a ratio, an index of the energy return divided by the energy invested in putting that energy system in place. For a hydroelectric plant, the water (the fuel, if you will) is basically free and it flows for literally centuries, yielding a very high ratio. Let's call it 100 for now. But in generating coal-fired power, there are losses at the station, in the transmission from the coal plant, the distribution transformers and finally, when you use it in your light bulb at home, where there are further losses by heat radiation. All those losses yield a ratio number of somewhere in the area of 20 to 30. At the bottom of the scale is corn-based ethanol, perhaps the worst example that we have today. It takes a lot of energy to grow corn—tractor fuel, fertilizer, shipping of the corn to the ethanol production distilleries and distribution of that ethanol in tanker trucks. Then there's the loss of energy in the engines in our normal cars and trucks. That ratio may be down below 6. The more we use of these soft energy forms that don't return as much energy for the energy invested in the facility, the weaker the energy returns to overall society will be. My fervent plea is for society to continue to look at a wide portfolio of energy fuels and energy-generating techniques that keep from going too far over that cliff edge toward the low return end. We need the hydroelectrics. We need the nuclear power that is up in the 20–30 range. We need the natural gas in the 20–25 range. Yes, we should add the solars and the winds, which are in the 10–20 index range. But, let's not go too far down. We're sitting today somewhere around 15–20 as an average ratio return for the energy invested, and society's working at that level. Let's not go down below 6. Societal regression and recession inevitably follow once you go over that cliff edge.